Long story short. Been having issues for months techs have replaced equipment 3 times and ran a new line from TAP to 2 way SPLITTER to MODEM no other connections. 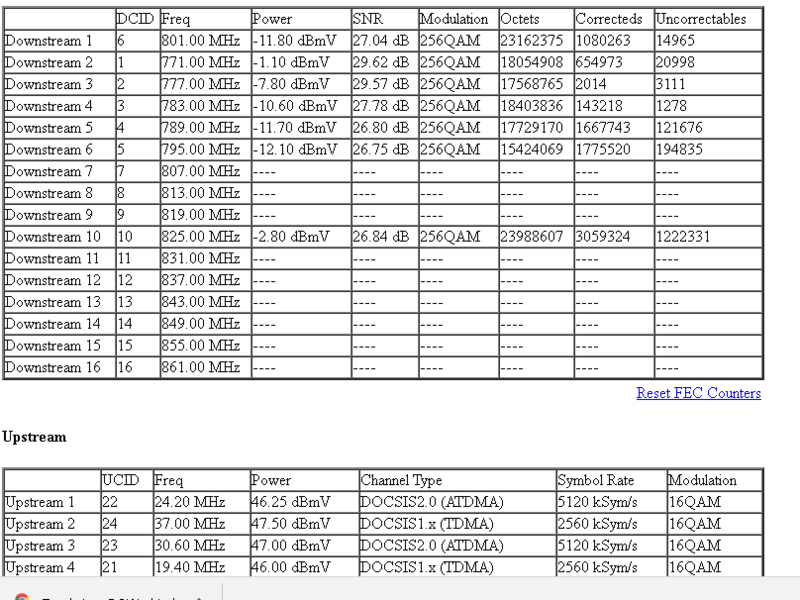 The logs you see are the most current, I have some that show it when its dropping bonded channels. 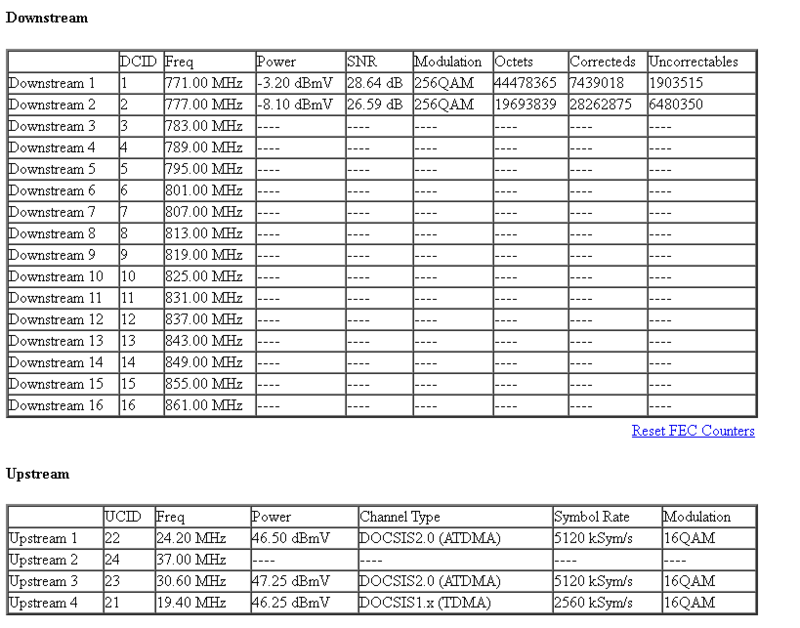 POWER SNR UNCORRECTABLES all seem off. I have had so many people come out over this issue and nobody can ever fix it. Why are you doing this to you customers? Replacing the equipment is not the solution. I have spent countless hours dealing with this and can never get to the person that KNOWS whats going on here. BUT, YOU HAVE A CIAXIAL ISSUE AND NEED TWC OUT, I'll bet the outside line is all chewed up and is waterlogged and needs to be replaced, All your DS levels are bad and correction is out of limits for any reliable service.